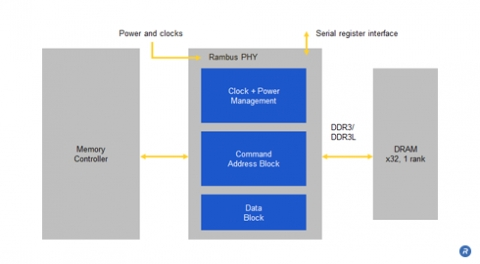 The DDR4 multi-modal PHY is a DFI 3.1 compliant memory interface that supports both UDIMM and RDIMM modules as well as DRAM–on-motherboard topologies, making it suitable for a broad range of enterprise and consumer applications. Our PHY consists of a Command/Address (C/A) block, Clock and Power Management block and Data (DQ) macro cells to create a 72 bits wide channel. It is fully characterized and contains all of the necessary components for robust operation and is available in GF 28SLP and SS 28 LPP processes.